I would like to take a moment and remind my audience, that just because I didn’t get a chance to cover one of my favourite albums of the year, it doesn’t mean that it’s not worth your attention. In fact, its appearance on my end of the year selections in Music For Withered Leaves And Lonely Fishtanks, among many favourite modern and contemporary classical works, warrants your time and money alone. And now that I’ve finally had a moment to sit down and capture my thoughts, I can release the pressure built on by the valve of my silence on the subject. Also, a huge nod towards the monumental Deutsche Grammophon label, which essentially redefined the “remixing” and reworking of the classics, with its Recomposed series, beginning with an absolute essential by Max Richter and the Vivaldi’s Four Seasons. I trust that it’s in your collection, yes? The recordings and numerous re-recordings, and the unlimited re-re-recordings of Bach’s classical works have dominated the markets since the invention of the archival media. 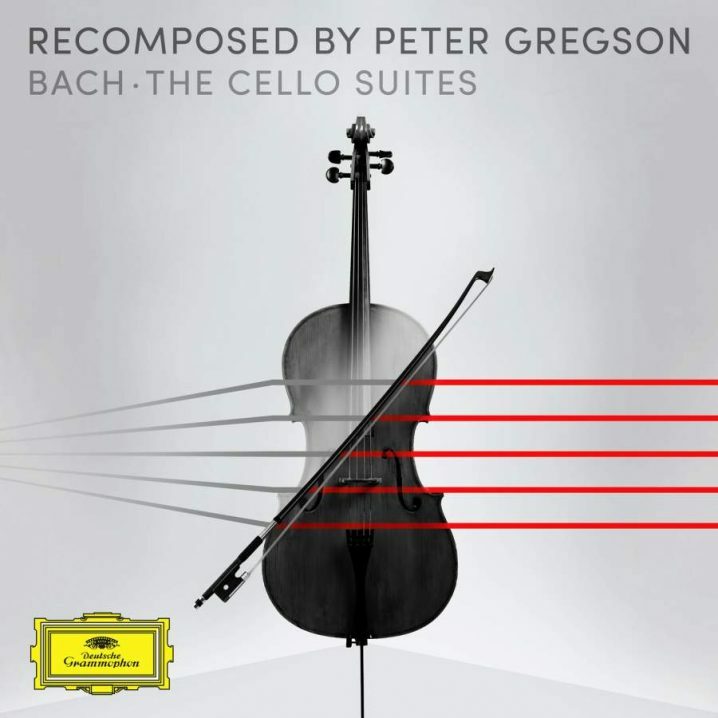 In fact, in October of 2018 (the very same month of the release of the Gregson’s album), Deutsche Grammophon in collaboration with Decca released a boxset of 222 CDs. That’s right, kids, that’s over 280 hours of music, in the largest, most complete set of Bach’s works to date. So let’s review what makes The Cello Suites so special (and trust me, here, it is indeed a gem). The new construction of the music from the mind of one of my all-time favourite celloists breathes new life into the music, that, although already timeless with its permanent immortal mark on humankind, becomes alive in our modern age, instead of gathering the dust behind the mind museum’s glass plate. Playing through the six suites spread out across about two hours of music (one per side on a 3×12″ pressing) one immediately notices the textures of the sounds, not just in the intricate recording process with the latest technologies of the studio, but also in the special extra treatments of the space – the low-frequency complimenting bass adds a whole other dimension to the bottom notes of sombre preludes, while the light analogue pads (if you listen closely) construct an atmosphere of airy scapes that hold the strings the way dense air holds the vapour. The compositions in themselves reimagine Bach’s too often mathematical progressions throughout time into another yet unglimpsed, unheard dimension. The music shifts and tilts, as if a sculptor has exposed the hidden side of his most precious work, as if you’ve watched backstage and gained a new appreciation. And, if you’re a fan of Gregson, as I am, you’ll soon pick up on his unique impression. […] although the object is the same,” says Gregson of the process, “if you turn around and see [Bach’s composition] from a different angle – shine the light on it in a different way – you get different textures; new shadows, new shapes appear; new pathways through the melodies and harmonies. The result is more like a suite of fantasias on a theme (of the original compositions), but still recognisably the same material. Another augmentation to the suites is the introduction of six cellos, which, in addition to Gregson include Richard Harwood, Reinoud Ford, Time Lowe, Ben Chappell and Katherine Jenkinson, creating a thicker, multilayered, luscious sound, so magnificently captured in the Lyndhurst Hall of Air Studios in London. I’ve had the pleasure of visiting the studios, where, by the way, Peter records in residence, with his very own private studio and office, so I can make the claim that he’s familiar with all the space to choose the proper placement of the players. 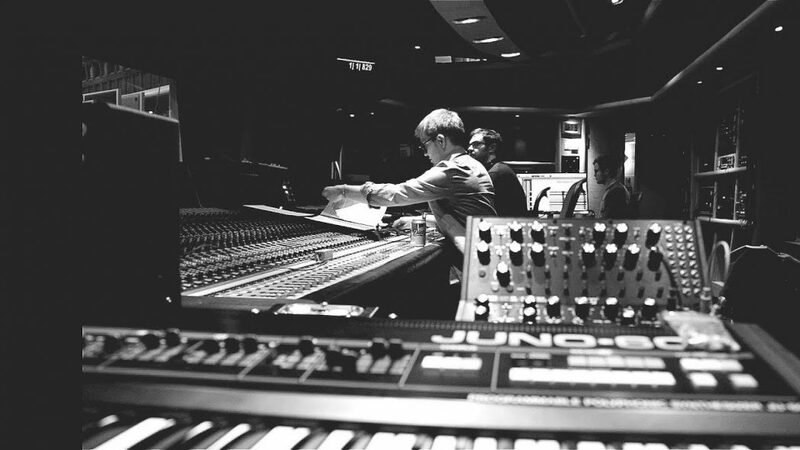 The variety of analogue synths (Juno-60, Jupiter-4, Moog Voyager and DFAM drum synth) were played and amplified with cellos, so that they breathe in unison with strings. This is a must in any classical collection! You will be humming all day long!